Share your creative vision in stunning definition with Nikon's first DSLR to feature built-in Wi-Fi® and Near Field Communication (NFC; NFC feature for Android™ v 4.0 or later smart devices only). A 24.2 megapixel DX-format CMOS image sensor with no optical low-pass filter captures remarkably pure, sharp photos and videos all the way up to ISO 25,600, while EXPEED 4 image processing and Nikon's 51-point autofocus system helps deliver the speed to capture up to 6 fps. 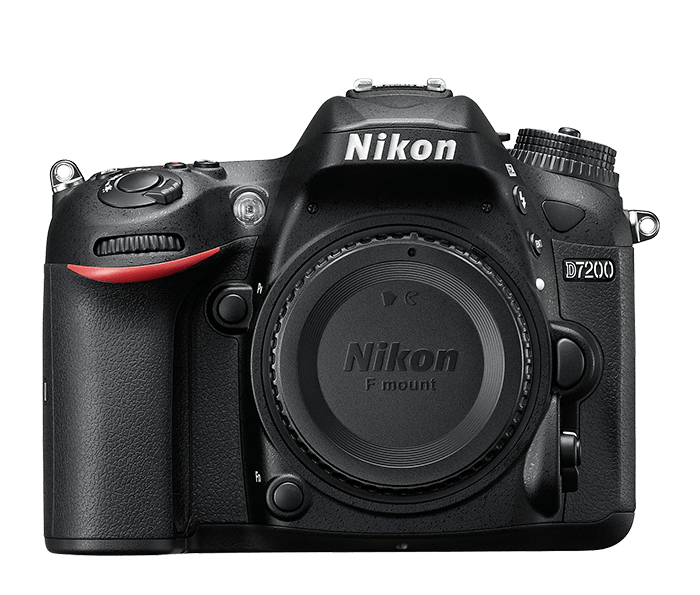 Add versatile video features, in-camera time-lapse and creative effects plus outstanding compatibility with the Nikon imaging system, and it's easy to see why the D7200 is the new star of Nikon's DX-format line-up.